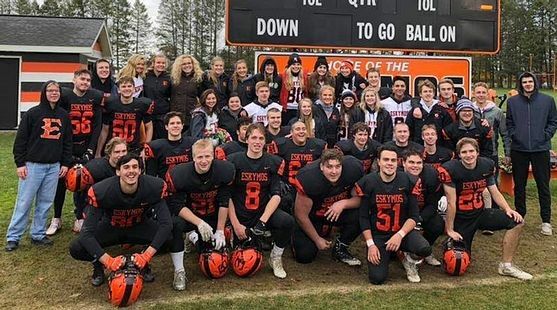 ESCANABA---The Escanaba Eskymos beat Ludington 27-20 Saturday afternoon in their playoff opener. The time for the second round playoff game has been announced. The Eskymos will play at Alma next Saturday at 12:00 noon. Against Ludington, the Eskymos took the lead in the final minute against Ludington on a hook-and-lateral play, with Ben Willis getting the Craig Kamin pass and tossing it to Josh Bruntjens, who ran for the touchdown. Ludington had one last chance, but an interception by Nick Ramos (and a fumble recovery by Alex Lynch) sealed the game for the Eskymos.